As members of OHA, our motto is Keeping Ontario Beautiful. Our Cramahe Ecology Garden challenges community to Keep Earth Beautiful. What is an Ecology Garden? Ecology, as defined by Webster’s New World Dictionary, is the branch of biology that deals with the relations between living organisms and their environment. 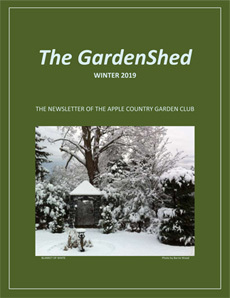 In 2008, the Cramahe Horticultural Society membership agreed to create an Ecology Garden. With support from the Township of Cramahe, the Rotary Club of Colborne, Community Care Colborne and District 4 of the Ontario Horticultural Association, it was agreed to create the Cramahe Ecology Garden in Rotary Centennial Park, Colborne. A request for funding from New Horizons for Seniors was approved and the funding arrived, special delivery, by MP Rick Norlock, in the spring of 2009. Then the real work began. Members contributed many hours of labour to prepare the garden for planting at our Dedication, May 25. Over the summer, members met to regularly maintain and improve the garden. Members involved children from the local Keeler Camp. The children toured the gardens and painted stones to edge the garden rooms and they painted birdhouses meant to encourage birds to nest. These children later brought their parents to visit the gardens. 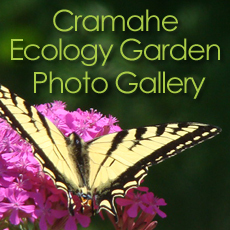 The Cramahe Ecology Garden displays a variety of plants. It is not a native plant garden but there is an area where one can be developed in the future, once repairs have been made to the eroded edge of the creek. Garden “rooms” show plants among a variety of similar plants. There is a vegetable room where children will be invited to plant quick growing peas and sunflowers. Strawberry plants have been used to edge the vegetable room. There is a xeriscape garden room of sun loving, drought tolerant plants and a shade garden room for plants that like shade. As part of our purpose to educate the community, all of the plants will be labeled. A composting centre shows the community how to make soil. The Cramahe Ecology Garden will become a year round destination. The birds are already settling in to the new birdhouses. As natural insect eaters, they and the snakes, toads and frogs are welcome residents. Welcome also are the earth worms as they are tilling and enriching the soil. Stone benches are situated for quiet contemplation. Passers by can learn about plants and simply observe their beauty or they can be inspired to grow similar species in their personal gardens. 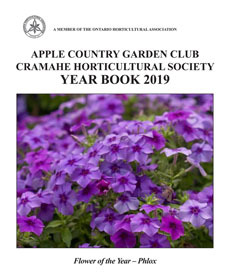 Hopefully residents of all ages will become interested enough to join the Cramahe Horticultural Society. The space will continue to develop as the park is renewed. Many members of the community have visited the Cramahe Ecology Garden and positive supportive comments continue to flow.